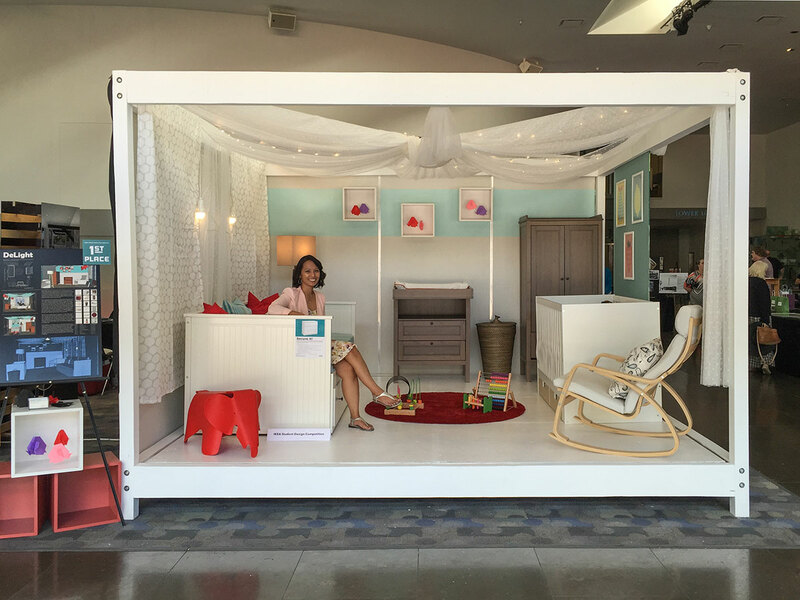 Students across Arizona were asked to use a fictitious client's treasured object as inspiration and design a 12’ by 12’ interior for SMoCA's Beadle Box using only IKEA furniture, accessories, fabrics, window treatments, floor coverings, and lighting. The winning design should demonstrate the ability of IKEA furnishings to accent vintage furnishings and skillfully address one of the four client profiles. 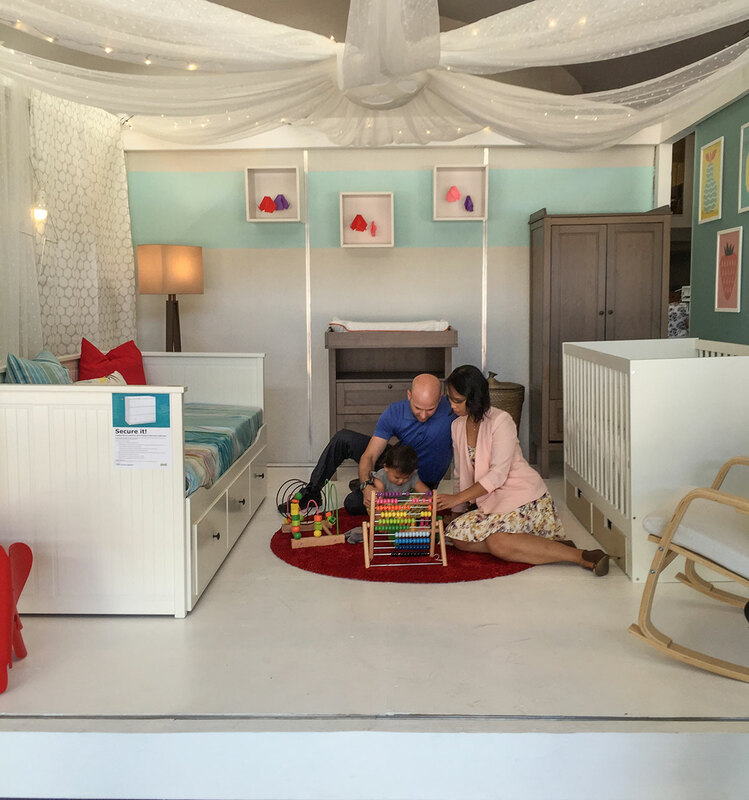 Ponti O'Neill of Arizona State University captured the jury's hearts with her plan for "De-Light", a soft and whimsical children's nursery that was as captivating by day as it was enchanting by night using dimmable lights screened by sheer drapery. 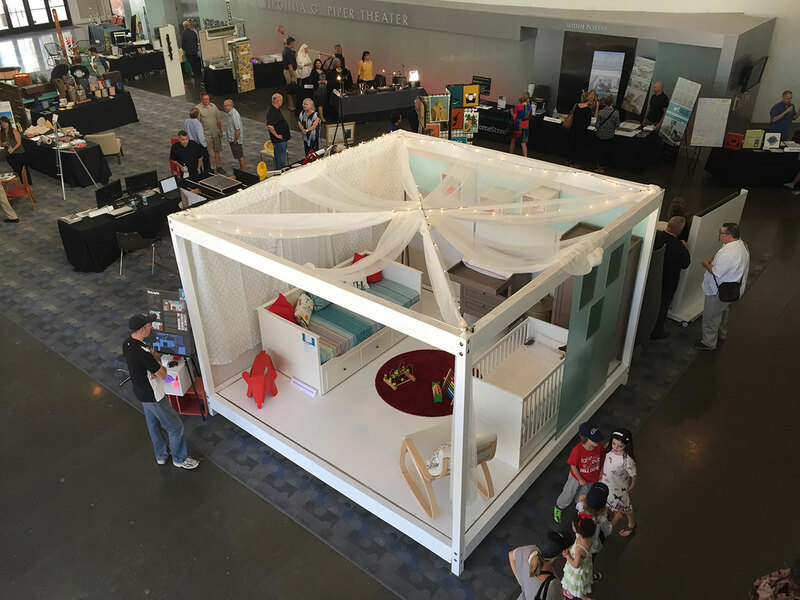 She worked with SMoCA and the IKEA team to bring her vision to life at the Modern Marketplace @SMoCA during Modern Phoenix Week. The O'Neill famly and friends demonstrated use of the space with their toddler during Modern Marketplace day. 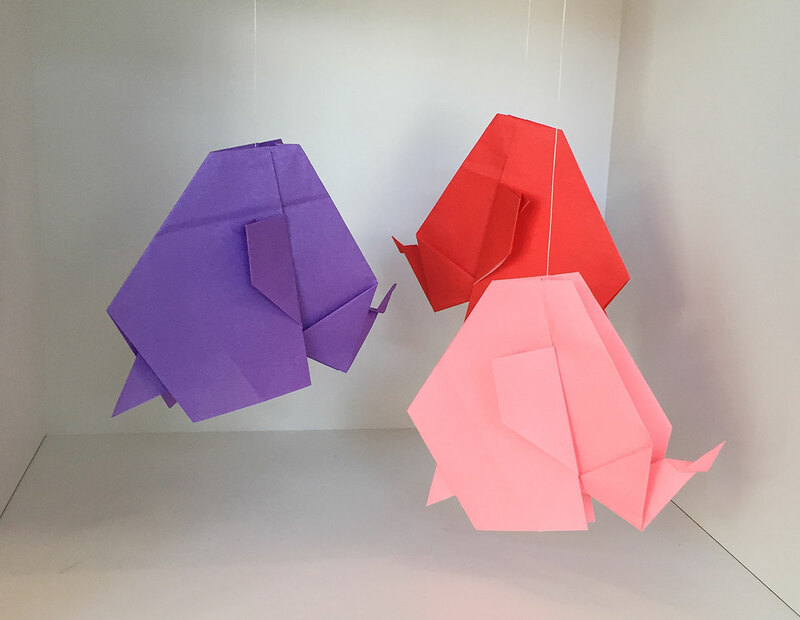 Since the required vintage object for her client profile was the red Eames elephant, Ponti used delicate elephant-print sheets in the crib and folded her own origami elephant sculptures to suspend in IKEA cubes as a mobile. She picked up on the frosty aqua color of the glass and used it on the daybed (for tired parents as much as a playspace) and as an accent on the back wall. 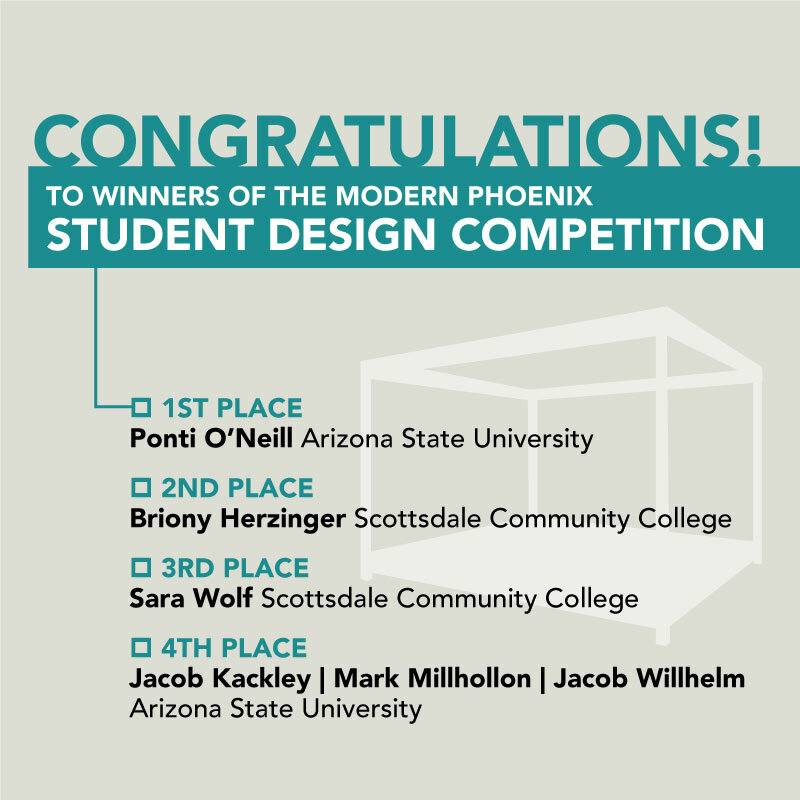 Interior Design and Architecture grads and undergrads from Arizona State University, Scottsdale Community College and The Art Institute of Phoenix all submitted boards for consideration by a panel of judges. 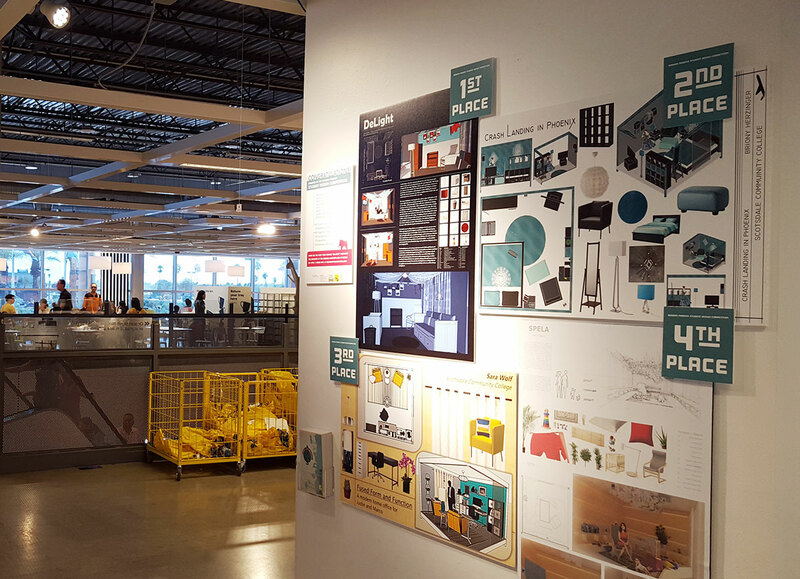 The top four winners exhibited their boards at IKEA Tempe during Modern Phoenix Week. Congratulations to the winners and we look forward to hosting another competition next year!